You’re a writer, and you want to write. 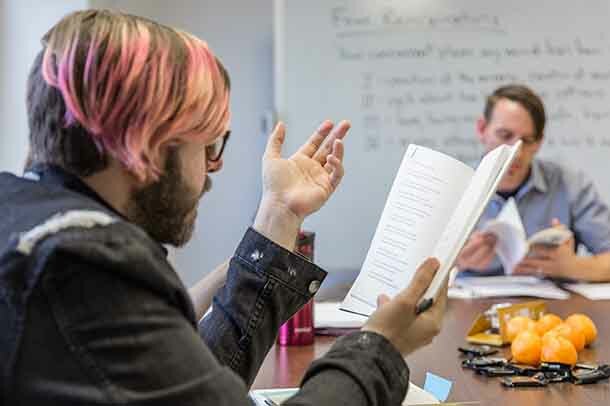 In the Creative Writing bachelor’s degree program at Columbia College Chicago, you’ll write from day one, immediately discovering your creative process as you craft stories, poems, essays, and hybrid texts. Diversity: it’s the name of the game in creative writing at Columbia, where we push boundaries and redefine borders. During your time here, you’ll study works by writers from many different cultures, and you’ll develop your own writing alongside a diverse group of students and faculty members. You’ll choose a concentration in fiction, nonfiction, or poetry to focus on your favorite literary form. But you’ll work within all genres, developing transferrable skills that will help you become a more effective writer. And through our Writer’s Portfolio class and a thesis project, you’ll begin to identify career opportunities as you create a substantial manuscript. Flex your storytelling muscles as you build a wide-ranging creative practice in writing. You’ll study classic and contemporary novels and short stories as well as experimental texts. By studying a diverse range of authors, you’ll develop critical reading and writing skills. Learn the history, forms, genres, and techniques of nonfiction writing. As you create your own body of work, you will study the evolving role of nonfiction writing in litearture. Discover your poetic voice and develop your craft as you write the poems that are meaningful to you. By the time you graduate, you’ll be grounded in the history of poetry and poetics and will have mastered a variety of writing techniques. 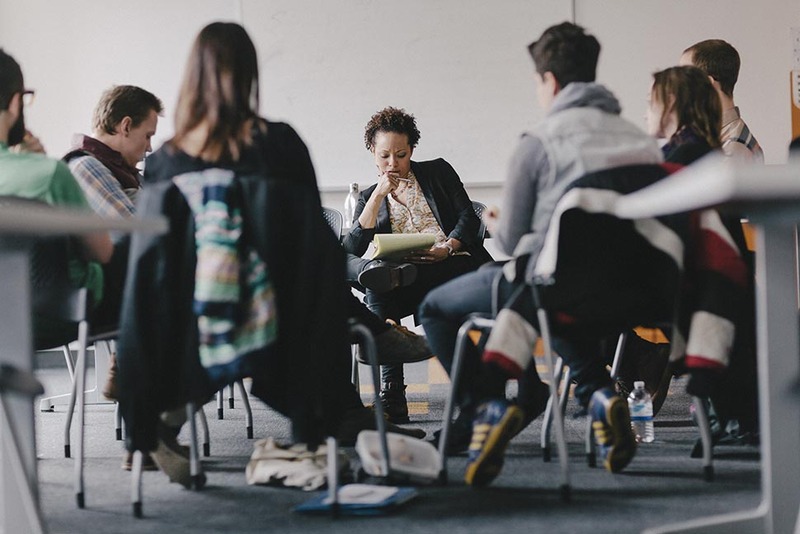 Your introduction to the Creative Writing bachelor’s degree program at Columbia College Chicago starts with two courses: Foundations in Creative Writing and Beginning Workshop. Here, you’ll lay the groundwork for successful writing by experimenting with a number of different writing styles and forms. And it’s not just about writing. Critical reading in literature courses informs your creative work and helps you become a more effective writer. As a Creative Writing major, you’ll take 18 hours of core workshop courses and at least 12 of those will be in your chosen concentration. In the Writer’s Portfolio, a required junior-year course, you’ll reflect on the body of work you’ve created at Columbia. In your capstone courses, you’ll learn what to do with the body of work you’ve made so far. You’ll complete a subsantial manuscript in your Thesis Workshop class and use what you have learned in professional development courses to prepare for careers that interest you. Along the way, you’ll have opportunities to take elective classes in the visual and performing arts, in new media, and in other areas. Combined with your writing workshops, these electives will open your eyes to the many ways writing enables you to participate in contemporary conversations on social and cultural change. When you join our community of writers, you’ll have opportunities to take part in readings and performances around campus, immerse yourself in publishing and production classes, and begin the process of submitting your work with the help of the student-run Publishing Lab. Creative Writing students also have the chance to study their craft internationally through a number of global learning experiences. Each of these opportunities will help you develop skills for a variety of careers and creative practices. 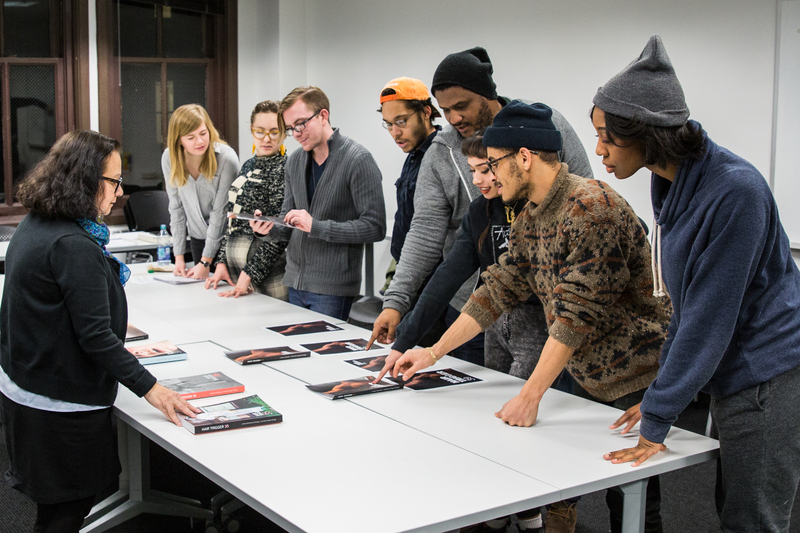 All students enter Columbia College Chicago as Creative Writing Bachelor of Arts (BA) students. You’ll begin by building a portfolio and experimenting with a range of writing styles and techniques. If you choose to apply to the Fiction Bachelor of Fine Arts (BFA) program and are admitted, you’ll focus on fiction writing through a number of fiction-specific workshop classes. The Fiction BFA allows you to focus solely on fiction, whereas the Creative Writing BA gives you the flexibility to work in other genres and the time to explore your other passions through a minor or a second major. Like our students, our faculty members are diverse in every sense of the word. They are practicing, publishing writers; they are artists who teach. 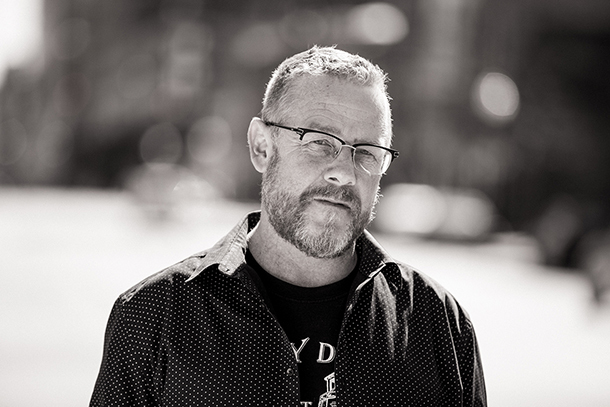 Combining different literary backgrounds and experiences with a willingness to experiment, faculty members encourage you to produce your best work, no matter where you fit into the literary scene. Employers in many fields look for strong communicators. The Creative Writing bachelor’s degree program at Columbia College Chicago can help you land internships at newspapers, marketing agencies, trade magazines, publishing houses, personnel firms, legal firms, education providers, television companies, advertising agencies, nonprofit organizations, and more. Companies and organizations get your strong writing skills, and you make professional contacts and create a portfolio of real-world work at places like The Daily Show, Disney, Pitchfork, and Time Out Chicago. You can work on Columbia’s student-edited, nationally distributed publications: Columbia Poetry Review, Hair Trigger, and Punctuate. From submitting work to taking the lead in publishing, editing, and producing, you can contribute to these highly professional publications. You’ll also gain the skills needed to create reading series, journals, or presses of your own. 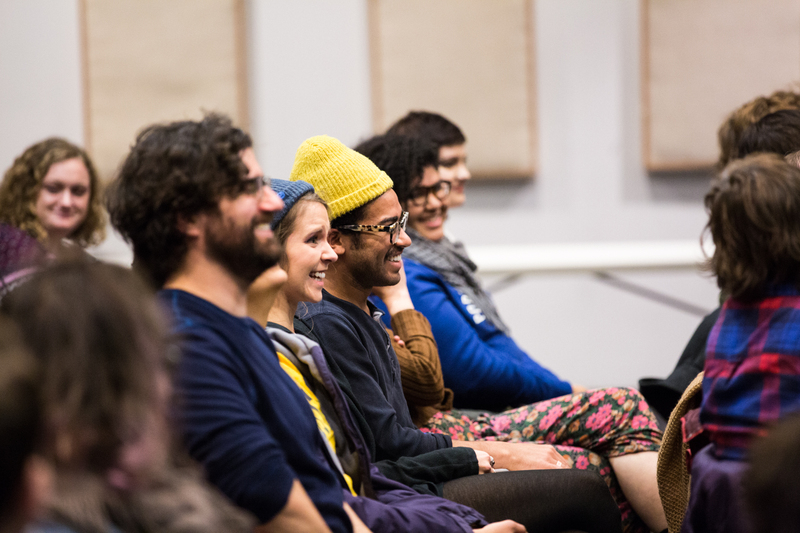 As a student, you’ll have a front-row seat for the prestigious Creative Writing Reading Series, which gives students the chance to interact with award-winning writers of different genres. You can also participate in the Writers at Lunch program, which strengthens Columbia’s writing community by bringing together undergraduate students from all disciplines for readings, panel discussions, and meetings with professionals in the field. 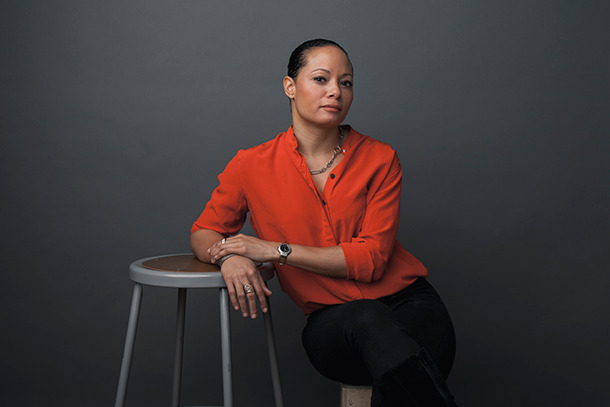 Christine Mangan ’04 published a book, Tangerine, which, according to Entertainment Weekly, sold to HarperCollins for more than $1 million and was optioned for a film by George Clooney. Jacob Saenz ’05 has been awarded the 2018 American Poetry Review/Honickman First Book Prize for his manuscript Throwing the Crown. This year’s guest judge, Pulitzer Prize-winning poet Gregory Pardlo, selected Saenz’s manuscript from more than 800 submissions. Bailey Heille ’17 was accepted to Columbia University’s prestigious MFA program. Living and studying in Chicago means you’ll have many opportunities to participate in the literary community here. The city has one of the country’s best live literary scenes, with a diverse range of styles and genres and a welcoming environment for new writers. With a Creative Writing minor, you can combine your major field of study with workshop classes and writing courses that will improve your reading, writing, listening, speaking, and problem-solving skills—a natural boost for any creative professional. You’ll enjoy all the benefits available to Creative Writing majors: experienced resident and visiting instructors, the ability to work on student-produced literary magazines, and other special programs. The Profesional Writing minor offers a wide range of literature courses. You will gain valuable career skills in research, critical thinking, idea development, and analytical writing. You will also study the relationships between literature and the diverse aesthetic, historical, and cultural contexts in which it is written and read. The flexible curriculum allows you to tailor the minor to your interests.